Why Affiliate Marketing Is Better Than AdSense For Blog? Do you know one thing? Affiliate marketing is always better than Google Adsense to earn money from a blog website. What is the reason behind it? Wait, I am going to tell you the reason. Just read this blog post carefully. Read also: Affiliate VS AdSense: From Where You can Make More Money? How to use affiliate marketing network? To earn from affiliate first you need to have a blog niche and almost 90% of the articles should be written on that niche. If you do that than most of the visitors come to your website will be interested in that niche. 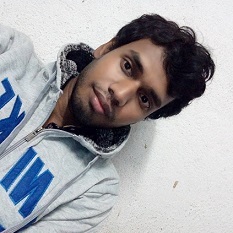 Peoples always search on Google in which they are interested most of the time. Then you should add affiliate link with the attractive way like a link with an image or with any other way which makes it attractive. Suppose you have a blog website in a niche related to technology products like smartphones, iPhones etc. If you have review blog post about a particular product (Or also you can create a new post) then you can put the affiliate link of that phone. So there will be a chance that someone may buy the product as the user who is reading the post may be eager to buy it and that’s why the user is on your site. Suppose you have a blog and you have lots of review on hosting company on that blog. Most of the hosting company now provide affiliate system. Go and get affiliate link from hosting providers and put the affiliate link inside your post instead of putting the direct link. I think you have understood what I want to say by reading the above examples. Similarly, you can add affiliate link of a premium software, premium WordPress plugin and themes and more. For your travel blog, you can use travelpayouts.com affiliate program to earn on your blog website. Thus the chances of buying the product will be increased as the visitor reading post on your website is already interested in it. Also, you can add affiliate link inside your regular post text. It will increase your website’s earning and even more than Adsense. And it is really good to add affiliate product or service link on each post and it should be the affiliate link of product or service in which the post is written about. Thus the chances of buying that product or service will be too high which will help you to make more profit. Obviously, you will earn a lots and more than the usually monetize system like Adsense if you do it with the right way. That does not mean you can use only affiliate marketing. You can use Adsense on your blog to along with affiliate marketing to increase your profit. 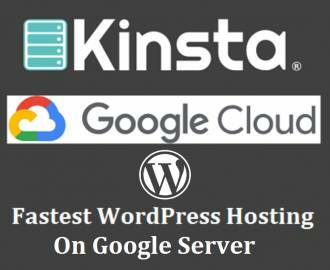 « Why I Prefer Cloud Platform Over Dedicated Server For WordPress Blog?